Everybody likes to get something for nothing, and for this contest, you really have to do practically nothing to enter. 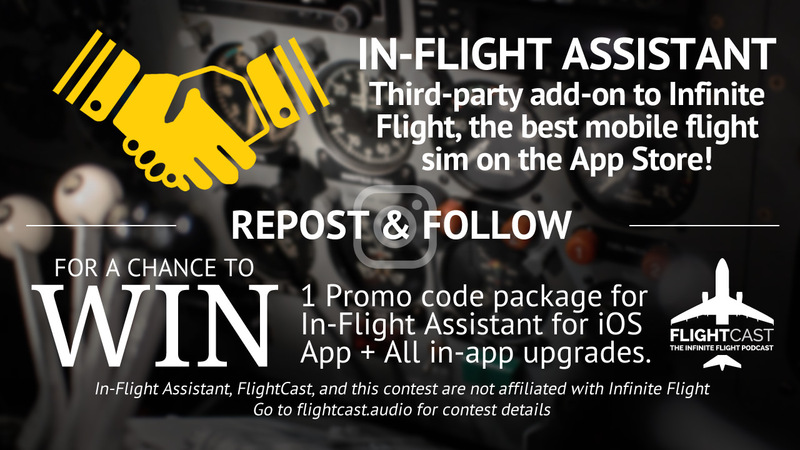 FlightCast has teamed up with In-Flight Assistant to give 3 lucky Infinite Flight users a promo code pack to receive In-Flight Assistant and both paid in-app purchases FREE! That’s a $15 value. The In-Flight Assistant Giveaway; put that in your milk. UPDATE: This contest is now closed. Thank you, to all who entered! Entering the In-Flight Assistant Giveaway is super easy. Like, the easiest ever in history. Simply look for a post on one of three FlightCast social media platforms asking you to retweet, share, or re-post and follow the instructions! That’s it. The contest will run from December 21st to Monday, December 26th at 12:00PM EST (1500UTC). 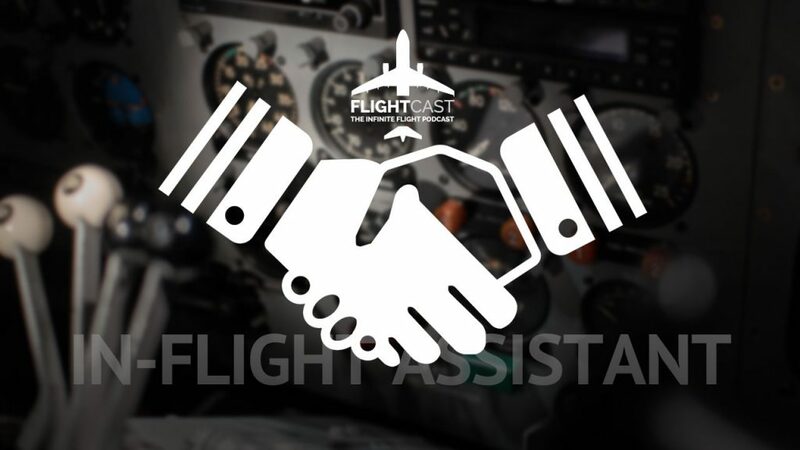 In-Flight Assistant Creator John Goering and Jason from FlightCast will select 3 random winners, one from each social platform and contact them via that platform so they can claim their prizes. In-Flight Assistant is an add-on for Infinite Flight which runs in the background on the same device while you fly and provides audio cues like “V1”, “Rotate”, “Positive Rate”, and many, many others. With the in-app purchases (included in the prize!) you also get an aircraft warning system and voice commands. Watch a 7-minute video on the In-Flight Assistant site. Where are FlightCast’s social accounts? Where are the official posts? What is required to use In-Flight Assistant? In-Flight Assistant runs on iOS 10 or greater, and is a companion app for Infinite Flight. You must be running iOS 10 on an apple mobile device, and have a current build of Infinite Flight. In-Flight Assistant does not work on Android devices. Sorry. What if I don’t have iOS 10? You can still enter, but the codes wouldn’t do you any good and it would be a waste. Probably better to let someone else win. What if I don’t have Facebook, Twitter, or Instagram? I don’t know how to re-post on Instagram. What do I do? Great question. Thanks for asking. There’s a great free app in the app store called Repost for Instagram. We suggest using that. However if you hate apps and want to see them die, just use this image. Remember to tag @flightcastaudio when you post to qualify. Start at the beginning of this post and read carefully. Can I share this blog post to enter? We’d love it if you shared this blog post, but sadly it won’t get you entered into the contest. Huge thank-you goes to John for creating such a fun and relevant app for Infinite Flight! Thanks also to the FDS team for including a great developer API for people like John. Good luck to everyone and thanks for joining in on all the fun! In-Flight Assistant and FlightCast are not affiliated with Infinite Flight or Flying Development Studio.